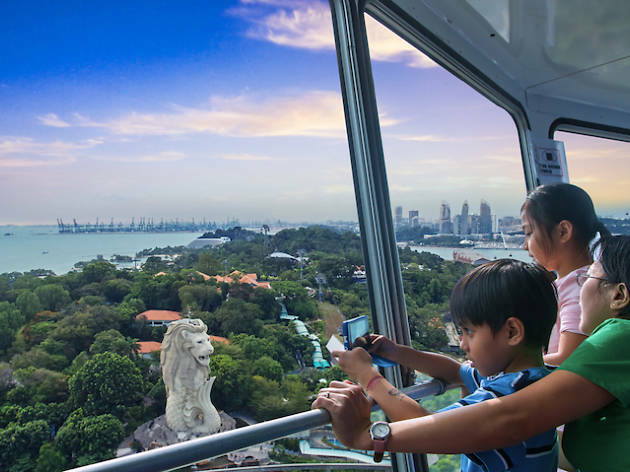 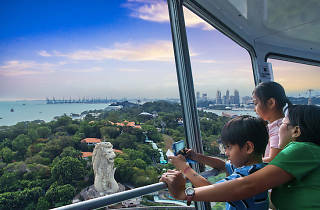 The revolving, air-conditioned cabin of Singapore’s tallest observation tower rises to a height of 131m – roughly about 50 storeys high – providing the best 360° views of Singapore’s southern coastline, Sentosa itself, the Southern Islands and parts of Malaysia and Indonesia – accompanied by a recorded commentary. Day and night views are equally striking, even when the weather is stormy. 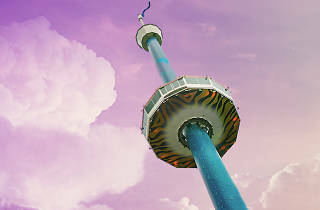 Despite the name, no alcohol is allowed on board.